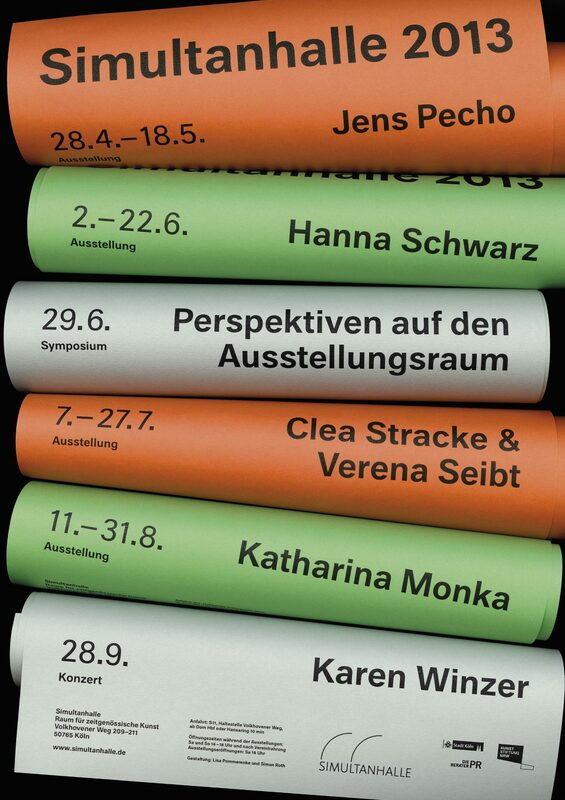 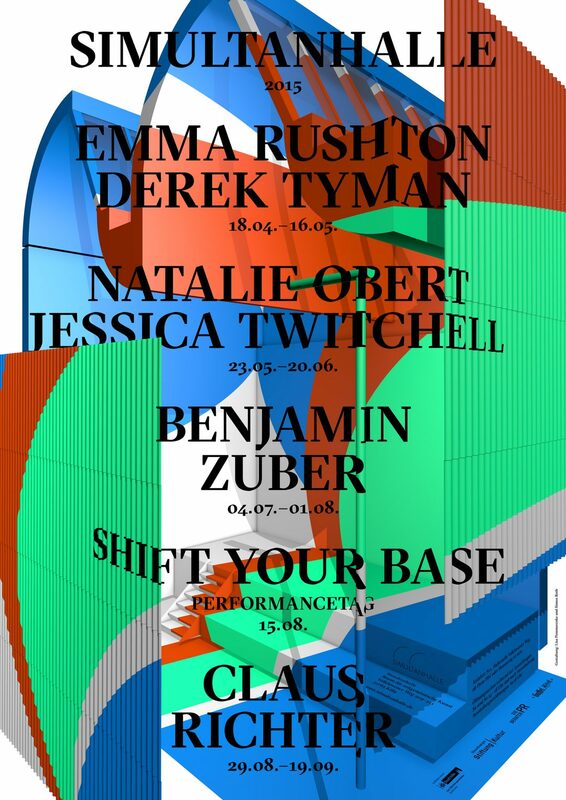 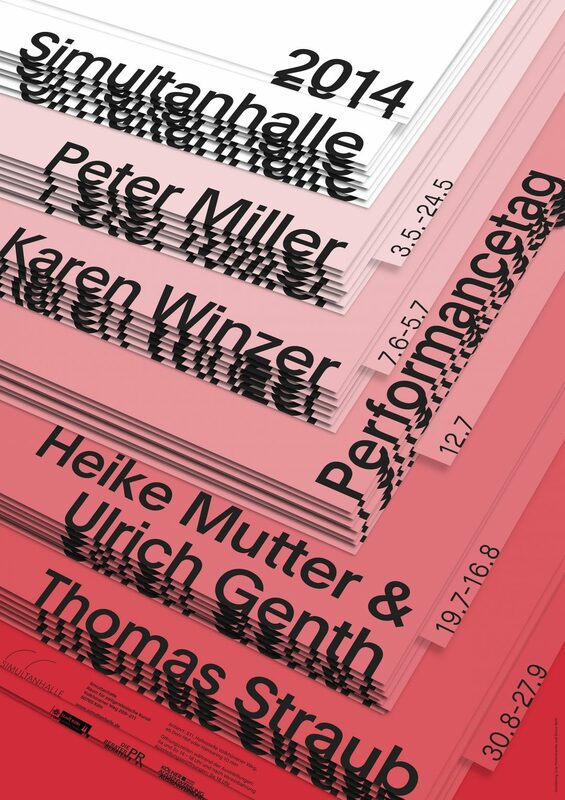 The poster series for the exhibition space Simultanhalle uses the medium of the poster as a design principle. 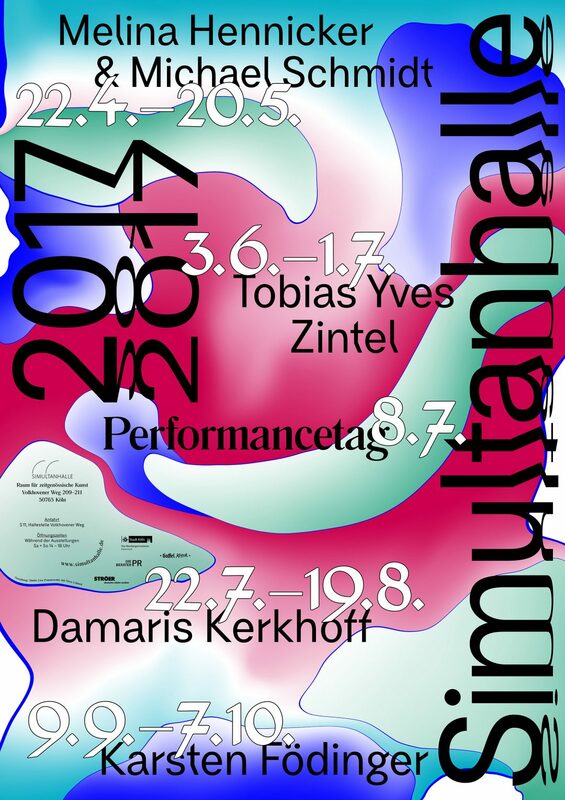 It references the space, which was build as an architectural test for Museum Ludwig, Colognes biggest museum of modern and contemporary art. 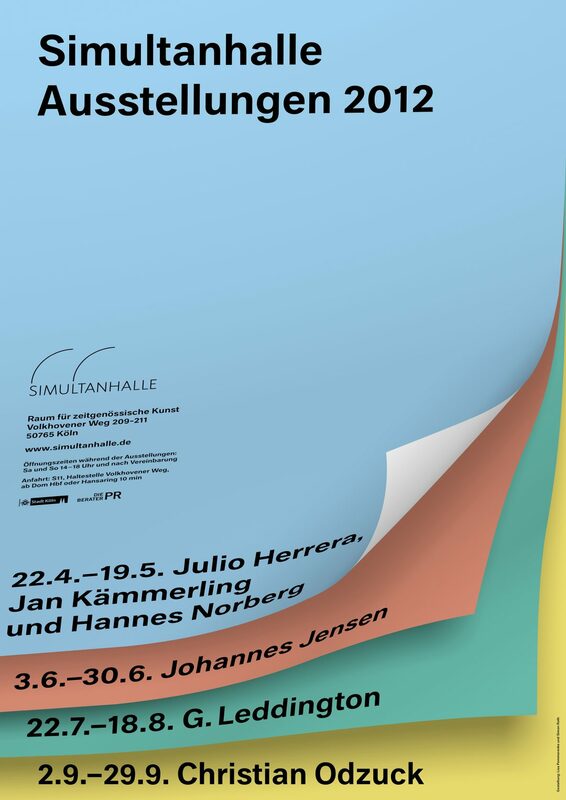 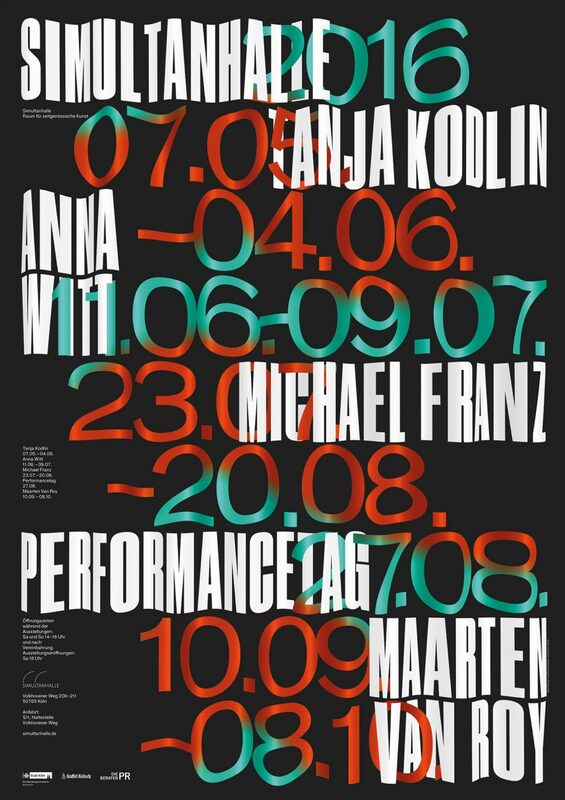 Simultanhalle 2014 was awarded with bronze prizes at International Poster Triennial in Toyama and at Graphic Design Festival Scotland and was selected as one of the 100 best Posters 14.